The Chrystelle Series will be at this event! The Chrystelle Series will be at this event! Please come out and support. We are helping families who are in need of toys for their children this holiday season! If you would like to help with this endeavor, please contact us! The Chrystelle Series Book Club would like to bless a family with a Thanksgiving meal! Comment your name below or someone you know who would benefit from this! 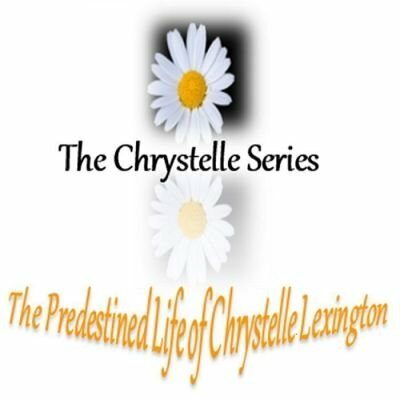 Crystal Williams will be in the place representing The Chrystelle Series! Come meet her, and the magazine company she will be featured in! The Chrystelle Series will be live on The Javii & Zinya Show (TJZS), which is one of the hottest talk shows on WBGR internet radio and live broad streaming. With nearly 2,000 regular Facebook followers, The Javii and Zinya Show has increased it’s online viewers every week since it’s debut. The Chrystelle Series will be attending this event from 9am - 3pm. Come out and join the fun! There will be food and live entertainment also! The Chrystelle Series will be attending and speaking at this event! The Chrystelle will be attending this event! Book Signing and Book Launch! Meet the author and hang around for a question and answer session! Be the first to get your hands on Chrystelle 4 before it's released to the public! Light refreshments will be served! It's the 8th Annual Community Day and The Chrystelle Series will be attending! The Chrystelle Series will be at this event! Come show some love! The Chrystelle Series will be attending this event!